Square Enix's third Go game follows the strong blueprint of Lara Croft and Hitman. The history of mobile gaming is littered with middling-to-awful attempts to turn beloved, big-budget console and PC game franchises into touchscreen experiences, but Hitman Go was the rare example to the contrary—and Lara Croft Go was even better. Both titles came out of Square Enix’s Montreal studio, and showed the mega-publisher learning to build new experiences that captured the essence of the original franchise in novel and compelling ways, rather than cram an existing experience onto phones and tablets. Hitman Go turned the methodical assassination simulator into turn-based puzzle affair with board game-like charm, while Lara Croft Go evolved the premise even further and gave us a brilliant adventure starring the Tomb Raider heroine. And no, it has nothing to do with Pokémon Go, but Square Enix is back with another clever mobile take on one of its enduring game franchises: Deus Ex. 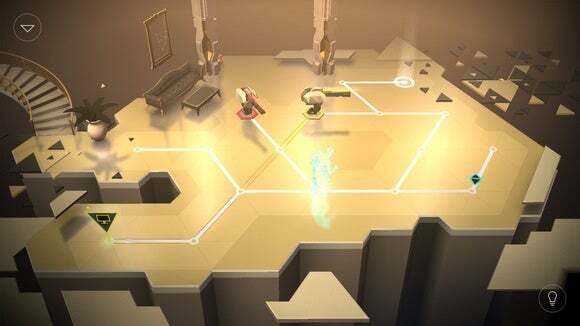 Released on the App Store on Wednesday, Deus Ex Go builds upon the two previous games while bringing in the long-running series’ cybernetic flavor in the form of hacking and newly-added story elements. What made Deus Ex such an ideal candidate for a Go transformation, besides being another popular action game underneath the Square Enix umbrella, was how methodical the game already was in its original form. It’s a first-person shooter, sure, but it’s also a stealth-action game that demands precision and planning to make it through shootouts unscathed. That sort of tactical design made a smooth transition possible. You’ll need to use the cloaking power-up at times to get around turrets or tiptoe past enemies. And the timing is perfect: On August 23, Square Enix will release Deus Ex: Mankind Divided on PC, Xbox One, and PlayStation 4, delivering the long-awaited follow-up to 2011’s Human Revolution. In Mankind Divided, you play as Adam Jensen, a technologically-augmented agent who works with Interpol and can deliver a load of hurt to bad guys with his myriad robotic enhancements. 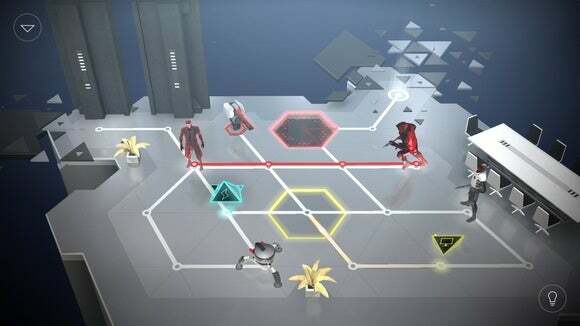 You’ll do much the same in Deus Ex Go, but rather than manage a game controller or bevy of keys amidst frantic first-person battles, nearly everything is handled with a tap at your own pace. You’ll tap the next spot on the screen to move, tap an enemy from behind to smash it into digital bits, and hack terminals by tapping and drawing a path on the screen. It’s a slower and simpler take, for sure, but there’s still a lot of strategy involved in figuring out the right path and chain of actions to get through the enemy drones and around hazards. Multiple enemies, robots, and things to hack: the puzzles only get more complex as the game goes on. If anything, Deus Ex seemed even more ready-made for a Go adaptation than its predecessors—so unsurprisingly, it works incredibly well in practice. Like Hitman Go and Lara Croft Go, the primary focus is on navigating each environment safely from start to finish, which means either getting around or disabling foes while solving puzzles and logic conundrums that impede your path to victory. But Deus Ex also uses its hacking element to get even more of out of each stage, as you’ll often need to reconfigure your surroundings via terminals to proceed ahead. That might mean hacking a turret drone to shoot guards instead of intruders (that’s you), or activating and deactivating floor panels to create pathways—or stun guards unlucky enough to be in the wrong place at the wrong time. Like the earlier Go games, the turn-based approach means that when you move, the enemies have a chance to do the same. With hacking added into the mix, now you’ve got multiple layers of timing and tactical management to sort out. Hacking is easy to perform, but figuring out the where and especially when is the tricky part. 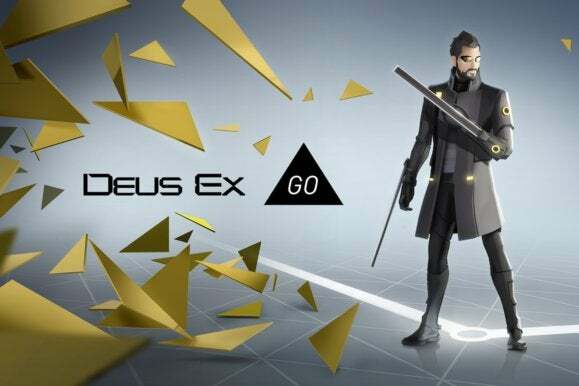 Fans will hopefully be happy to hear that there’s a lot more Deus Ex Go coming, too, and at a steadier clip. 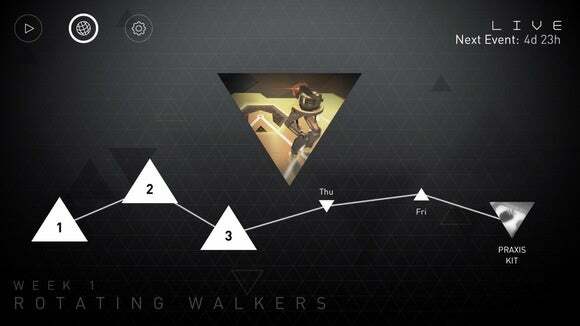 Rather than unleash level packs via occasional app updates, the game will feature a new puzzle every weekday. That’s right: Monday through Friday, Deus Ex Go will have a fresh daily puzzle to play, and they’ll get more and more difficult throughout the week. When Monday rolls back around, the set will refresh and new challenges will begin arriving. Complete all the new stages each week and you can unlock a power-up for use in Deus Ex: Mankind Divided. That’s not all, either. Square Enix will also introduce a level editor tool in a post-release update, allowing players to create their own missions and share them freely through the game. Giroux says it’ll give players the same tools that they use in the studio, which should not only empower fans’ creativity but also provide an ample supply of new challenges to endure. Based on my own time with the game, it’s hard to find much flaw with Deus Ex Go. It smartly adapts the Deus Ex universe into a tactical touch puzzler, and the missions are challenging and brainy—maybe even more so than in previous Go games. 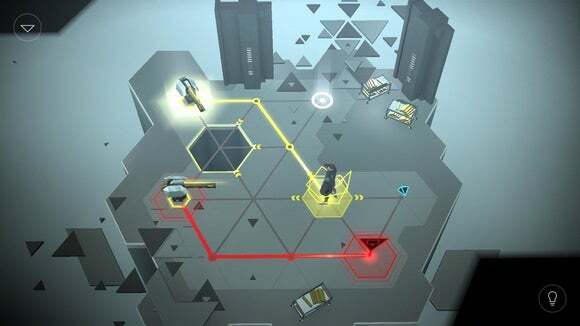 While 2013’s Deus Ex: The Fall did a solid enough job of adapting the shooter template for mobile, Deus Ex Go really feels like it was built from the ground up—not only for mobile controls, but also compact play sessions. And unlike the previous adaptations, Deus Ex Go actually has bits of storyline to help propel the campaign mode forward and anchor the game in that universe. Luckily, you don’t have to be a fan of the series to appreciate Deus Ex Go, as the game is plenty engaging on its own. We may not see a Mac release of Mankind Divided immediately (nothing has been announced), but Deus Ex Go hardly feels like a consolation prize for Apple fans.